Phoenix Window & Gutter Cleaning Ltd - Cleaning Services based in Dorset. Window Cleaning, Gutter Emptying & Cleaning, Conservatory Cleaning, Fascia & Soffit Cleaning, Solar Panel Cleaning, Roof Moss Removal. Your property will be cleaned to the highest standard by our fully trained and uniformed professional teams. We provide a cleaning service for all types of domestic properties plus commercial and industrial businesses. We have gained a reputation as one of the area's most reliable cleaning services. Our vans are equipped with state of the art equipment. We pride ourselves on being Cleaning Experts, our mission is to provide an outstanding service for our clients, we seek long-term relationships with our clients through loyal and reliable workmanship, we are happy to supply quotations, method statements and references. 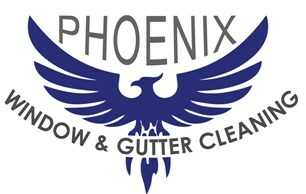 Why use Phoenix Window & Gutter Cleaning Ltd? • Both male and female operatives available. • IPAF trained for high access platforms .